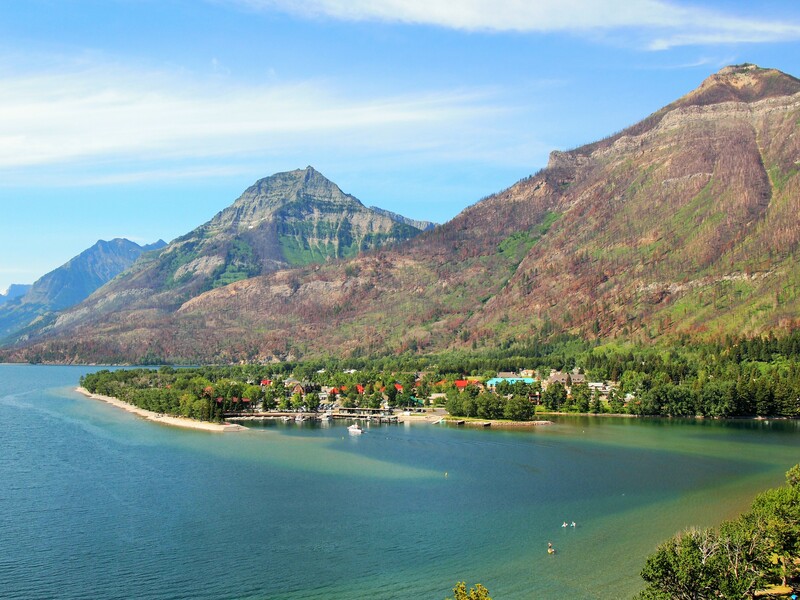 Our first destination of the trip was Waterton Lakes National Park. 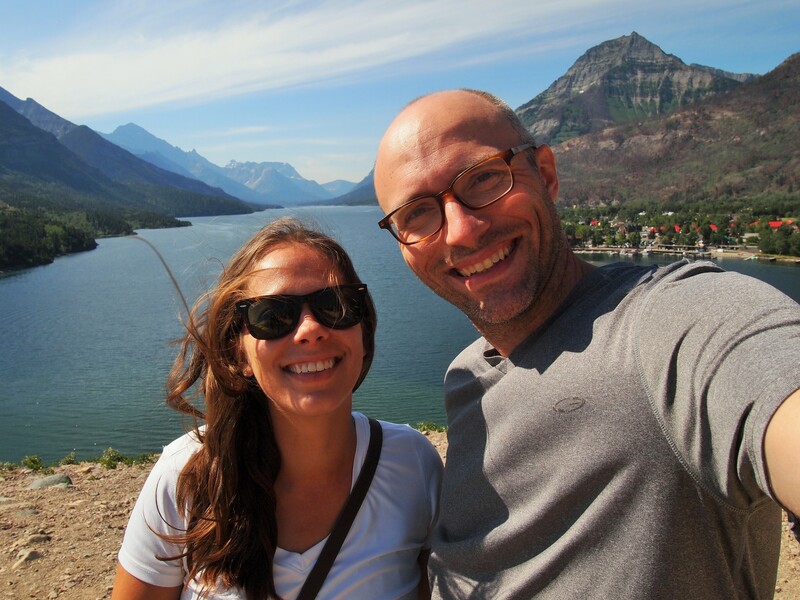 We wanted to visit Waterton Lakes four years ago on our Western US road trip, but our passports were at the Korean Consulate being processed for our impending move. So we were both excited to finally visit. 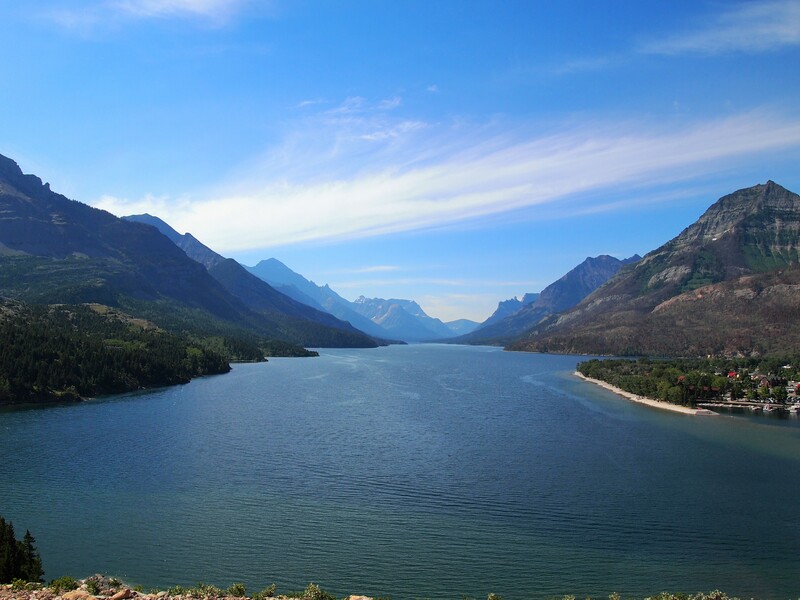 We used the Chief Mountain border crossing to travel into Waterton Lakes. Only open in the summer months, it’s a pretty route to the border, devoid of much traffic. There were maybe four or five cars in front of us, and we passed through fairly quickly. 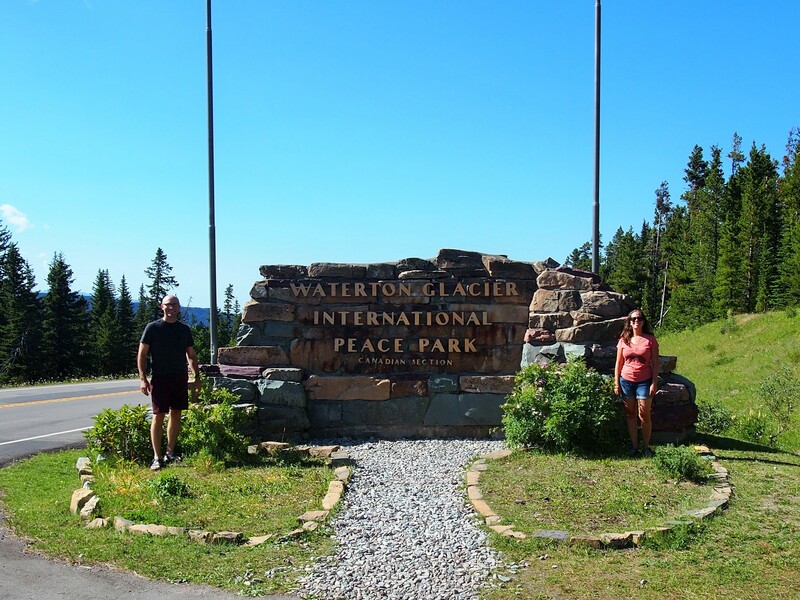 On the other side, we were welcomed by both flags marking the entrance to Glacier-Waterton International Peace Park. The two parks merged to form the world’s first International Peace Park in 1932, acknowledging that the environment doesn’t recognize borders. 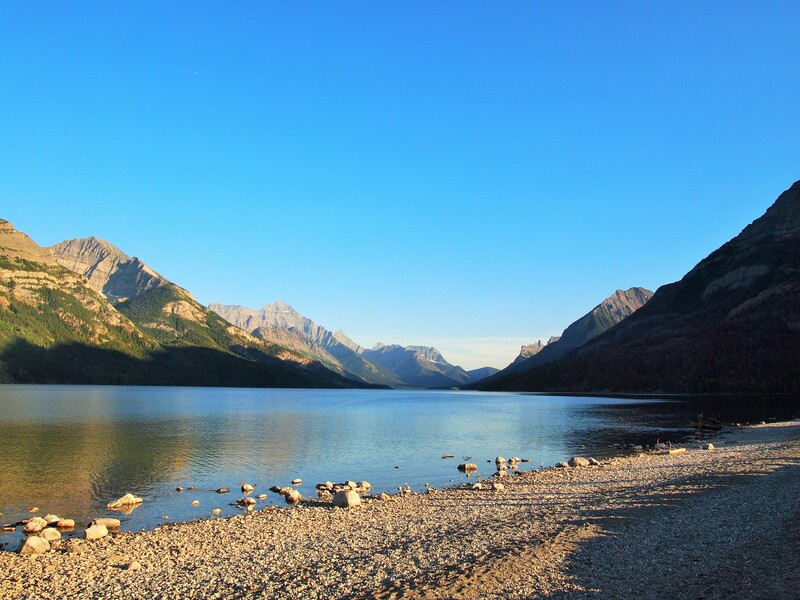 Today, Waterton and Glacier continue to work together to jointly manage the parks. 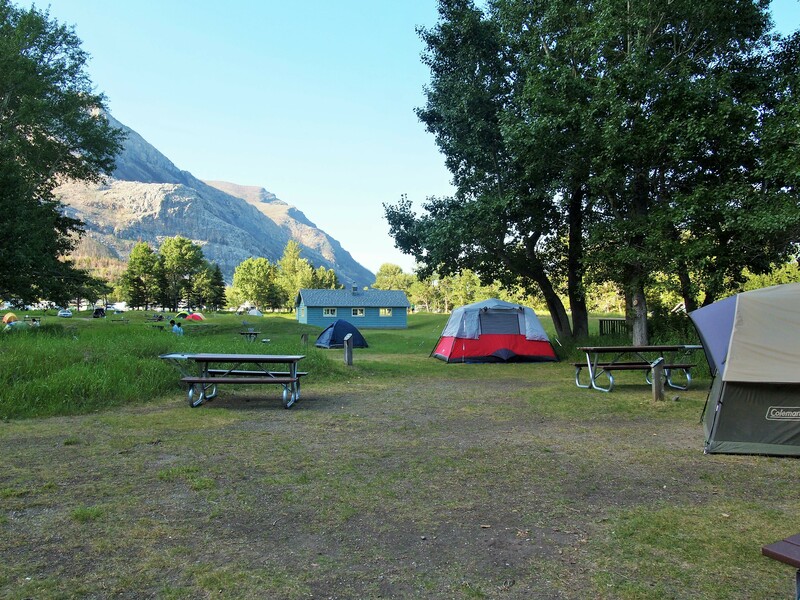 We arrived at Waterton around 6pm on Sunday with plenty of time to check in at our campground, set up at our site, and enjoy the evening. Our campsite at Waterton was unique. I reserved a spot in the tent-only (read: cheapest) area which was actually more like a communal campground. 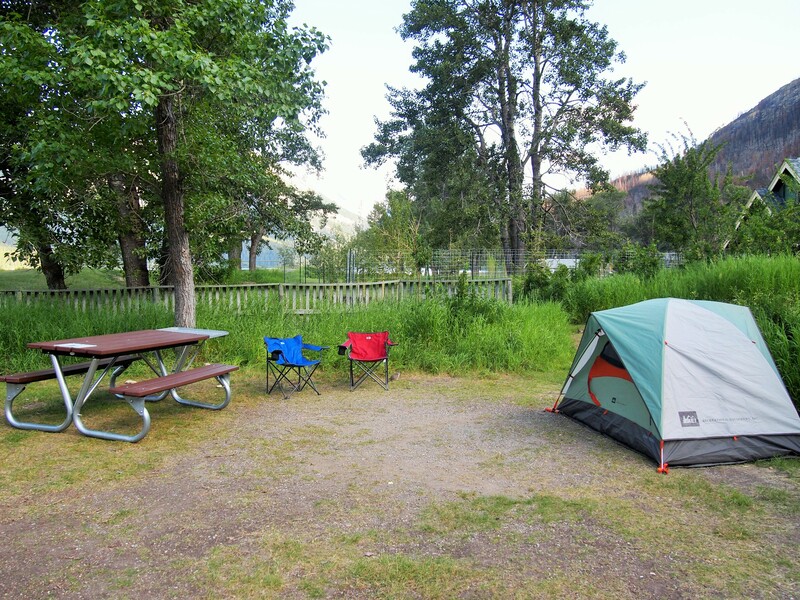 In a rather large field – littered with the burrows of Columbian ground squirrels – each walk-up site had a picnic table and an area to pitch a tent. The sites were close together which meant little privacy, but that wasn’t of concern to us. We planned to spend little time at our tent. 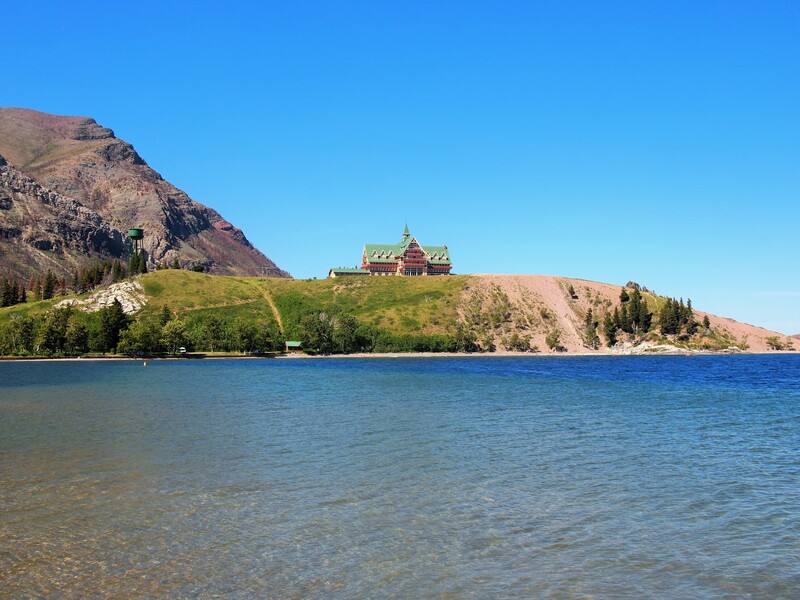 Our site was a two minute walk to the lake shore and only a ten minute walk into the town of Waterton. 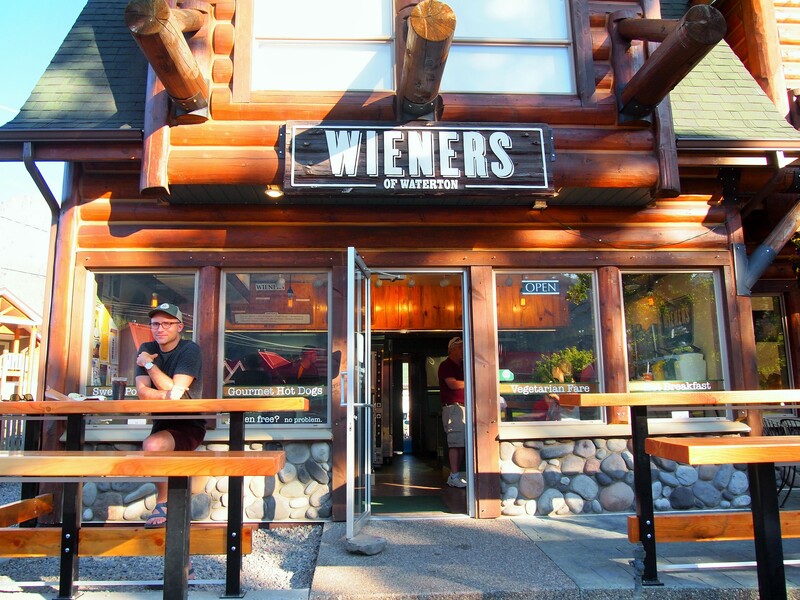 There was a nice shoreline path from our campground to the town, and we decided to forgo buying groceries and grabbed dinner at Wieners of Waterton instead. We spent some time walking past the storefronts before slowly walking back to our site for the night. 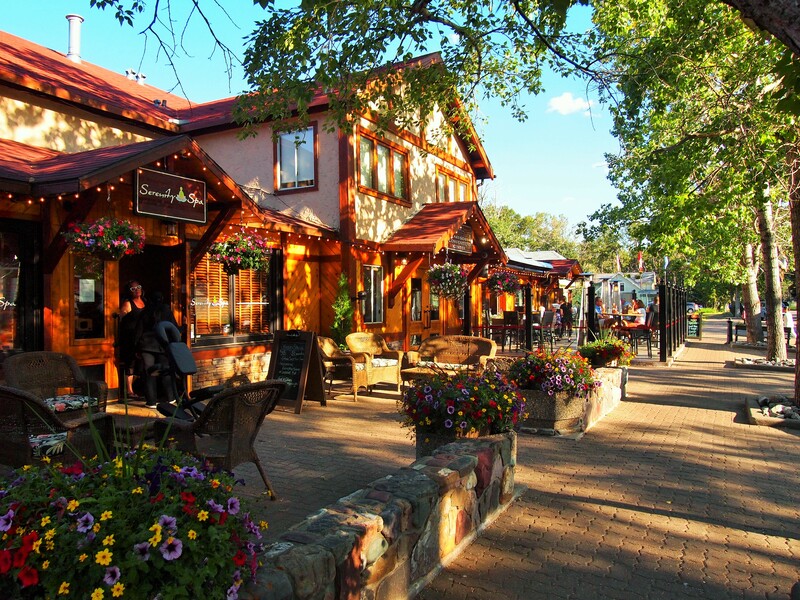 Waterton has a laid-back atmosphere. The town is small; most of its residents are summer dwellers, returning to nearby towns for the rest of the year. 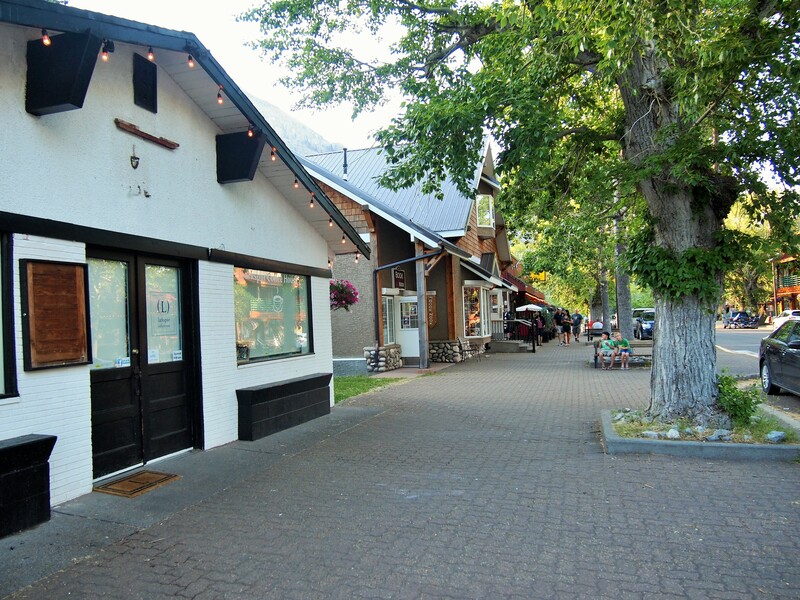 There are two main streets with restaurants and shops for the tourists, and it’s incredibly walkable or bikeable. Since dogs are allowed in Canadian National Parks, there were lots of people walking around with their pups too. It felt like an idyllic summer town. 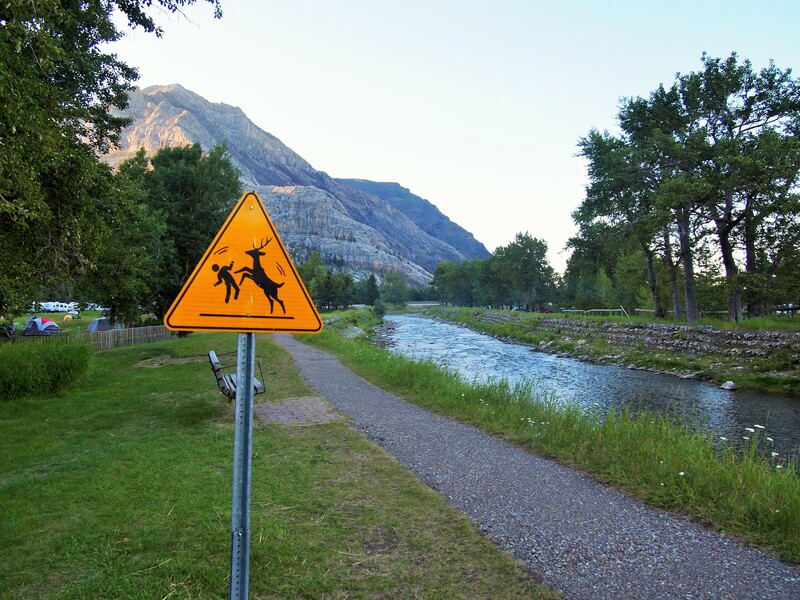 Watch out for aggressive deer! Unfortunately, a large wildfire in 2017 meant most of the west side of the park was closed. This was disappointing, but also gave us more freedom in that we didn’t feel pressed to get up and go, go, go. We decided to do the most popular day hike in the park on Monday, our only full day. The Crypt Lake hike was unlike anything we had done before and made this post quite lengthy, so I’ve given it its own post here. On Tuesday morning, we packed up our site and had coffee and breakfast in town at a really sweet place, Windflower Corner Coffee. The owner and her two school-aged daughters work the shop during the summer season and then move back to a nearby town. We found the town post office and mailed a bundle of postcards before making our way toward our last stop in the park, the Prince of Wales Hotel. 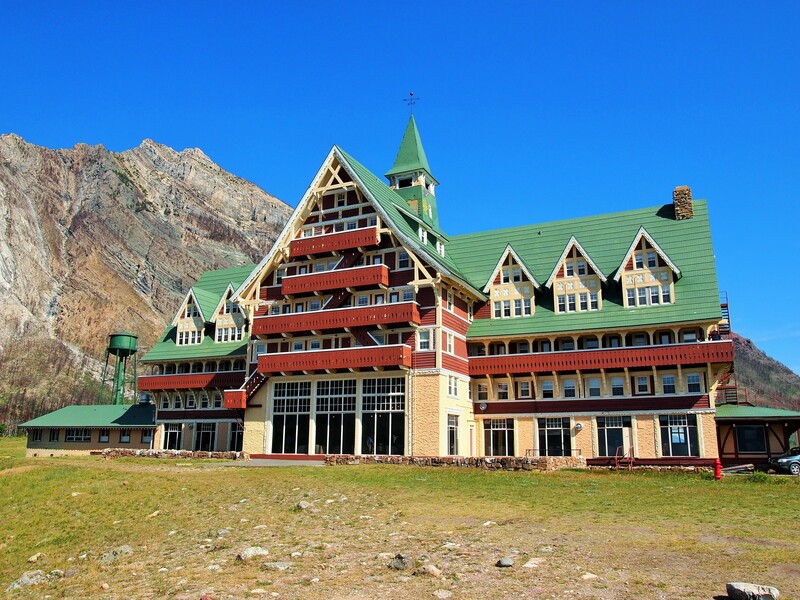 Built to emulate a Swiss chalet, the hotel was part of the string of lodges built by the Great Northern Railway to draw visitors (via their railroad) to Glacier and Waterton. The hotel opened in July 1927 and celebrated its 90th birthday last year. A month later the devastating Kenow wildfire came quite close to the hotel. Thankfully, the hotel emerged unscathed and reopened for guests this year. 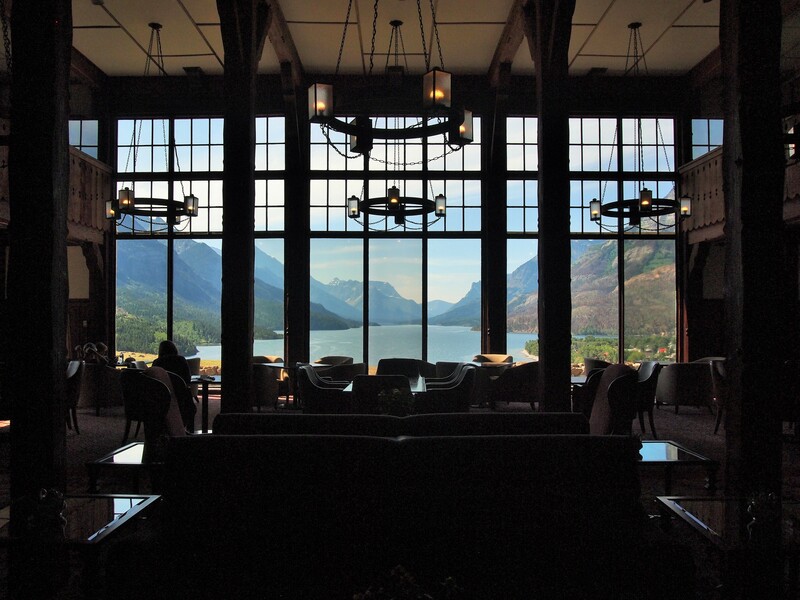 The hotel is an iconic part of the Waterton landscape, and we were thrilled to finally visit. The view from the hotel’s lobby is stunning. I could sit there all day. 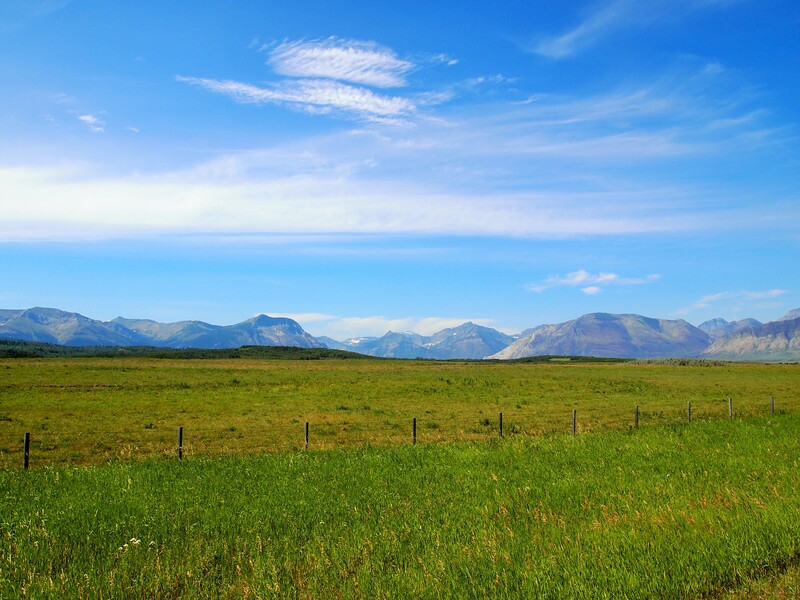 Equally great is the scenery from the grounds where you can admire the nearby town and the spectacular mountains which frame Upper Waterton Lake. Waterton NP was the perfect start to our trip. There were no large crowds, no rush to pack in a ton of sights, just the slow pace of a summer day. We could relax and enjoy the scenery without feeling like we were missing out on something AND we still did a grueling day hike. We thoroughly enjoyed our brief time there and hope to visit once the rest of the park is open again. Looking back as we drive away – damn. Such a beautiful place. Those views from the hotel…fantastic! We’ve never stopped at the hotel. I’ll make a note to do that whenever we go back. Was Cameron Lake closed? You guys stir up my wanderlust every time I read one of your posts. Ha! Oh that’s a shame. That happened to me the first time we went to see Glacier Nat’l Park. It was on fire and therefore closed. Sad, but even as a natural occurrence it seems to happen a lot.